Leaving Oamaru at 7.45am Saturday with 4 in the van meant that we had some time up our sleeve before meeting the others at Glenorchy at 1pm. We stopped at Tarras for a drink and then Cromwell for some low-priced fuel before hitting the Queenstown Lakes area. We arrived in Glenorchy well before 1pm and spotted Jane, Graham and Karyl at Camp Glenorchy so we booked into our bunkroom. With a full van, we met Kim and Mark down at the iconic red shed and then we all travelled around towards Kinloch where the Glacier Burn Track is. Everyone was keen to get walking. The track starts on the true right on the stream but within a 100m, there is a crossing to the true left and the well-formed track stays on this side right, through beech forest, up to the Glacier basin. Two hours later, we reached the basin, below some snow. Back to the vehicles and Camp Glenorchy. We were lucky enough to be there for the “Great Glenorchy Getaway Weekend” which offered barbeques, food stalls, entertainment, to name a few. So that night, Camp Glenorchy opened their bar and put on a BBQ which we took advantage of. Camp Glenorchy is self-sustainable so they have solar panels, composting toilets, automatic doors, sensor lighting, sensor drying room, devices in rooms to maintain optimum oxygen levels throughout the night and thermo controlled underfloor heating. There is a huge lounge and dining area plus a large kitchen. The sculptures, paving and landscaping are superb. 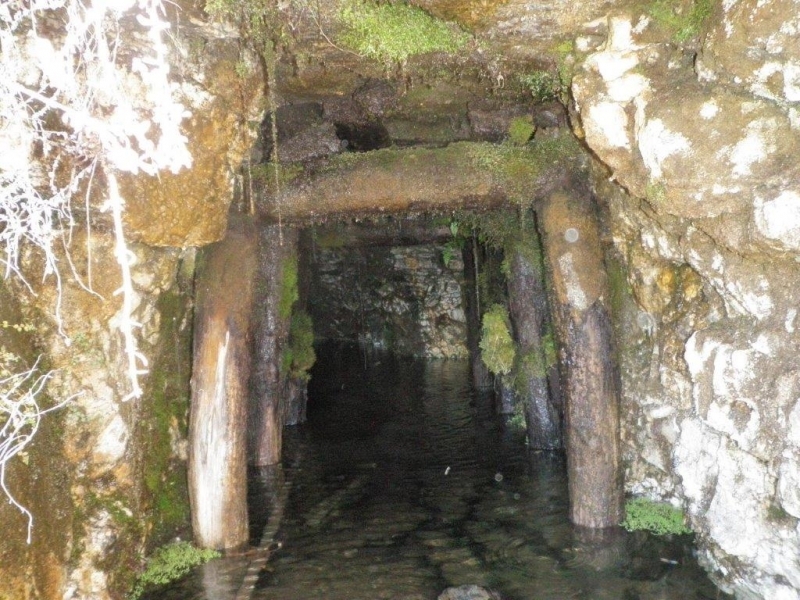 Sunday morning with the sun shining, we started up the Mt Judah track at 8.45am, viewing the Scheelite mining history on the way. 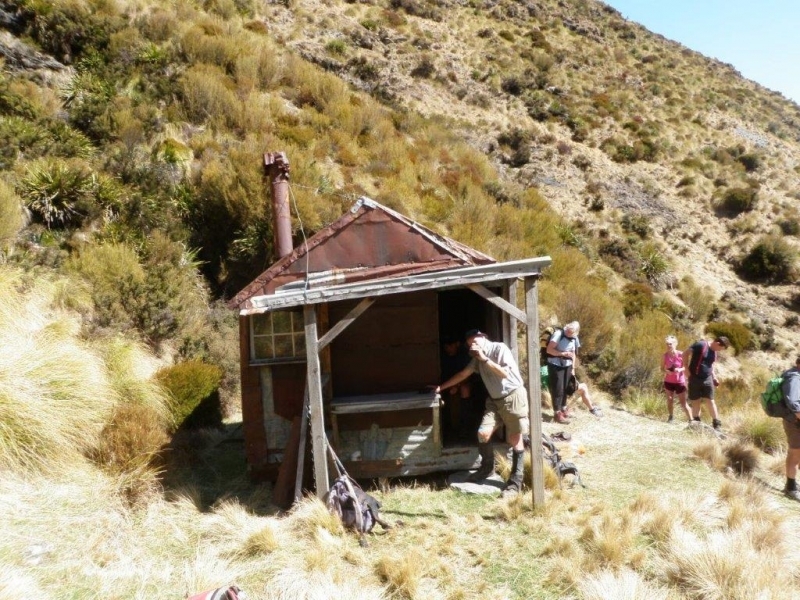 At 10.30 we reached the junction where the Mt McIntosh track begins, spotting a corrugated iron hut about half way up Mt McIntosh. We continued up the Mt Judah track and reached the end of it at 11.15am. 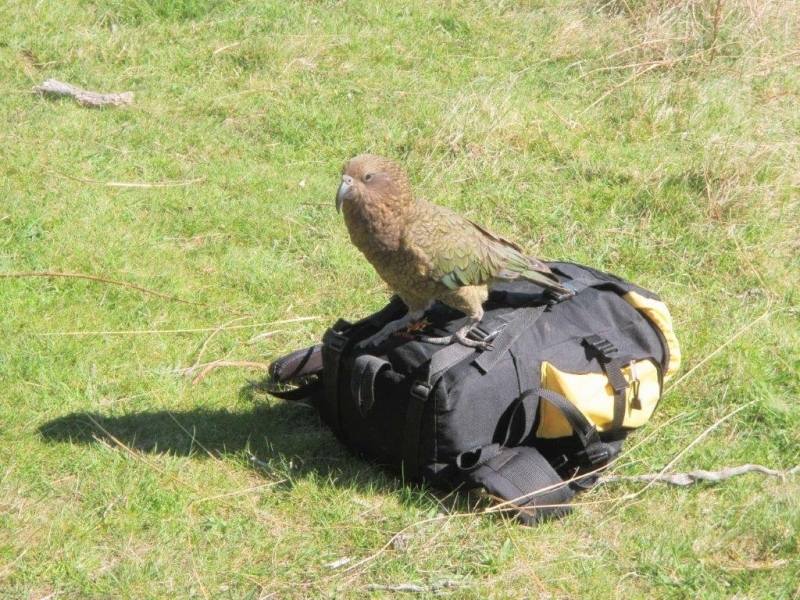 Here we encountered the Kea to everyone’s delight as it played with walking poles and packs. We reached the Boozer Hut just after opening thankfully, and then lunched in the shade at the Bonnie Jean Hut soon after 12pm. The Bonnie Jean Hut and an old workshop next door both had iron bars installed to prevent people going in and so to preserve the contents within. Nearby was an old Massey Fairhall under cover. While lunching, we were entertained by another Kea. 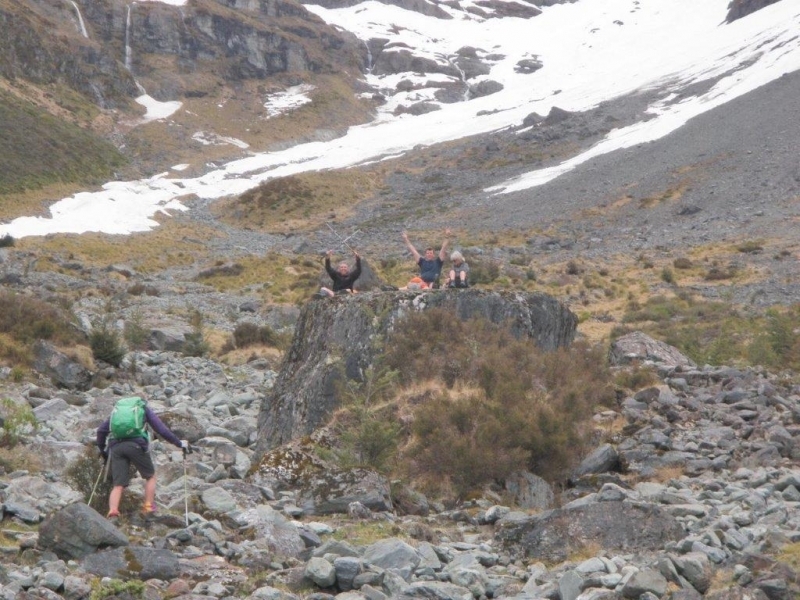 Within 45 minutes, we were at the Heather Jock Hut, where we met up with a woman and a Kea. Her husband was away climbing Mt Alaska, he had also carried his bike to the hut – very keen!! From here, we walked down the long zigzag to Jean Hut, unique in that it has rocks tied to wire and standards to keep the roof on! The exterior of these huts was all constructed with old iron bits and pieces so there was no wood at all. Just after the Jean Hut, we met up with the Mt Judah track again and called in to look at the Scheelite mines and then back to the van by 4.30pm. After a hot day, some sampled Ginger Beer from Crimson Badger Brewing’s at Mrs Woolly’s General Store while some sampled her ice creams. Everyone was keen for a shower, followed by cold refreshments and a meal at the pub. On the way back, we opted to bypass the Valley Blue Grass Band playing at Mrs Woolly’s General Store, in favour of resting in the luxurious lounge at Camp. Monday morning, we left Kim and Mark to possibly go biking on the Diamond Creek Track. The rest of the group spent a couple of hours walking the Lake Sylvan circuit which is a Scenic Reserve of beech forest. After this, we drove down the road to the Routeburn Shelter for a look. On our way back to Glenorchy, we stopped at the Mt Alfred Track which was an option for Monday but not many were keen for it, possibly a good thing as there was a Caution sign, stating snowfall, windfall and the track obscured in places. It will keep for another time. Back to the pub for lunch and then home for everyone.